Red-brick, classic Tudor only a short stroll to Winnona Park Elem., d'town Decatur, & only 2 blocks from Decatur's new 77-acre property slated for green space & recreation. Inside, find a fresh, bright palette w/ crown molding & wainscoting. Entertain in a formal fire-side living rm & enjoy dinners in separate dining rm or eat-in kitchen w/ upgraded appliances & custom cabinets. With open concept living/kitchen area & screened porch, there's no shortage of gathering spaces. Home is complete w/ large master en suite, 3 guest rooms & baths, laundry rm, office, & garage! Driving Directions: From downtown Decatur - S. Candler. Lft on Winnona Dr. Rt on Avery. Left on Inman. Inman forks left to become Missionary. House on left. 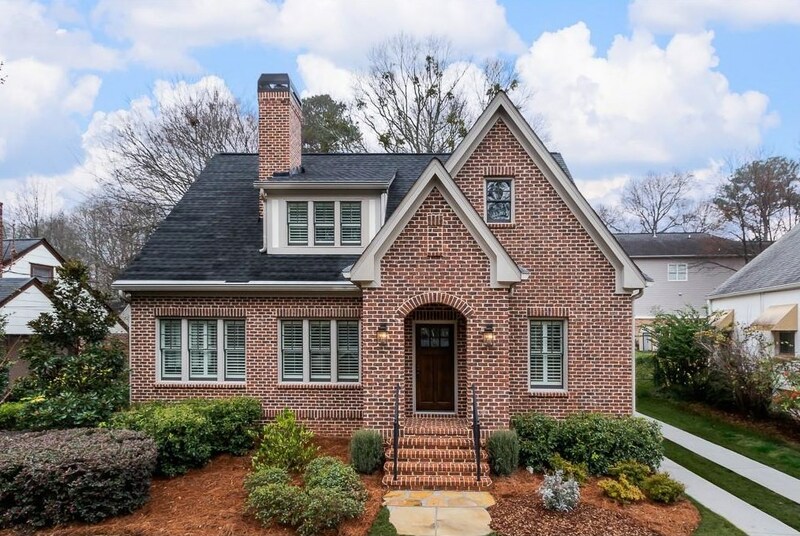 315 Missionary Drive, Decatur, GA 30030 (MLS# 6515800) is a Single Family property that was sold at $925,000 on April 23, 2019. Want to learn more about 315 Missionary Drive? Do you have questions about finding other Single Family real estate for sale in Decatur? You can browse all Decatur real estate or contact a Coldwell Banker agent to request more information.